Bed and Breakfast accommodation Summerstrand Port Elizabeth. Le Fisherman's is a small luxury owner managed Bed and Breakfast establishment situated at no.12 Fifth Avenue in the beach front suburb of Summerstrand, Port Elizabeth. The four luxury en-suite rooms all have double beds and some have an extra single bed. In total Le Fisherman's can accommodate 10 people. All units have private entrances and secure parking with remote control. The ensuite bathrooms have showers. Room facilities include television with Mnet and DSTV channels, Wi-FI, bar fridge, kettle, fan, heater and microwave. The dining room where full English breakfast is served has a special ambience and features a small art gallery with unique, individual pieces for the discerning art enthusiast. Bedrooms are also decorated with original art works on the walls. We are located six houses behind the Marine Hotel and literally a fisherman's line from the main beaches, shops, restaurants and Boardwalk Boardwalk Casino Complex and are within easy access to the Nelson Mandela Metropolitan University, the Humewood golf course, the Oceanarium and Snake Park as well as the Port Elizabeth airport. 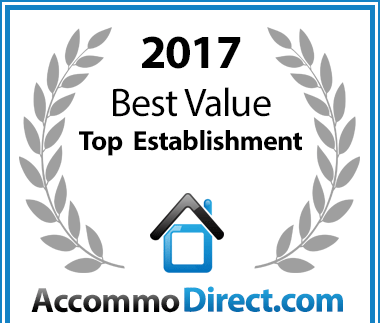 Le Fishermans Bed and Breakfast has been voted a Best Value for money Summerstrand establishment. 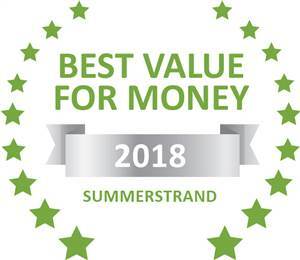 Based on reviews of establishments, le fishermans B and B has been voted Best Value for Money in Summerstrand for 2018. 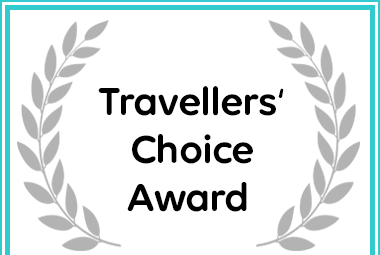 Le Fishermans Bed and Breakfast in Port Elizabeth received an award for Travellers' Choice.